on Health, Diet and HTE's SOQI Machines. Health and wellness using the Original Sun Ancon Chi Machine, the Far Infrared Sauna Dome, the Electro Reflex Energizer and the E-Power Machine. The healing powers of nature utilized by medically advanced Japanese technology working in perfect harmony with the body without toxic drugs or invasive procedures. Check For Weekly Flash Sales! FREE E.Books and Video With All Machines. Established in 2002, we are serious about natural health care. The choices you make today, determine your tomorrows. SOQI - Natural healing using acclaimed international medical device for passive aerobic respiration exercise with massage, far infrared heat therapy, powerful reflexology and electrotherapy to re-charge your body. All the machines are the ORIGINAL, and not sold on Amazon or eBay (only the imitations). Cutting edge technology for your home or business. For all ages, from children to athletes or seniors. 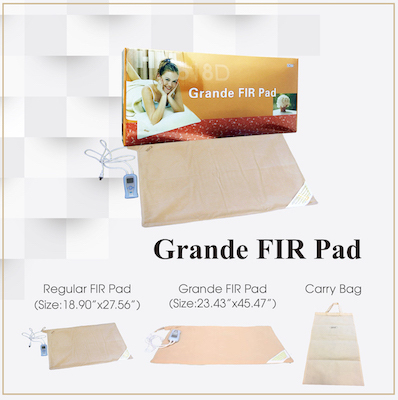 Classified and regulated as a medical device in USA, Canada, Australia and Japan. Four outstanding supplements, plus extensive diet and nutritional guidance. Health comes from eating live energy, whole foods. Seen on four TV shows. The foundation of health is so simple - GET YOUR BODY MOVING! Internationally acclaimed Medical Device, the ORIGINAL Chi Machine. Created in Japan for long-term sustained use. 27 Global patents. For all body types, all occupations, from ages 4-100 yrs. Built to last for 15 to 20 yrs plus - strong, solid, durable, quiet. Multiple benefits support health and wellness with no chance of injury, no drugs and no toxic side effects. Internal massage, exercise, healthy back support, energy, mental focus, temporary muscle pain relief and sounder sleep. Stimulate the Autonomic Nervous System thus promoting physical and mental relaxation. Australian Clinical Trials conducted by world renowned lymphologist Professor Neil Piller, focused on leg Lymphoedema. International Media includes: 'Fit For Fun' and 'Elle' magazine, professional athletes in the USA, Canada and Europe, global spas, health care practitioners (traditional and alternative), voted Terry Bradshaw's MSNBC 'Pick Of The Week' and featured on four international TV health shows including 'The Doctors'. Endorsed by prestigious international medical centers, hospitals and clinics. Daily Exercise and Fitness: Enjoy a no-sweat, subtly energizing, effortless 'work-out' via low impact, passive aerobic respiration exercise within the comfort of your home or at the office during lunch. Muscles are not targeted (as with anaerobic exercise), but athletic performance is enhanced - commonly used to warm up or cool down. Japanese scientist Dr. Shizuo Inoue, is the original Chi Machine creator who teamed up exclusively with Gordon C. Pan, the founder of HTE, to create the first Chi Machine, the Sun Harmony. Sun Harmony is the old brand name, since changed to Sun Ancon, along with an externally modified machine design. 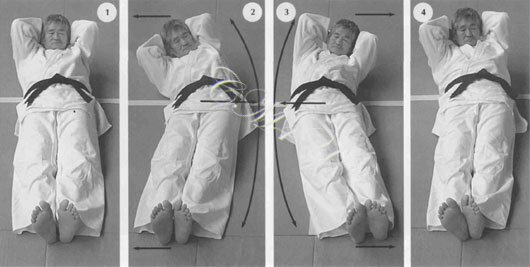 Detailed, step by step Instructions how to use the Chi Machine. Whenever something REALLY works, someone creates an imitation. The problem is, the imitation does not work as well as the original. Imitation Chi Machines - You get what you pay for. "The Chi Machine" is actually a TRADEMARKED name belonging to the original Chi Machine, invented by Dr. Inoue, known as the Sun Ancon, sold exclusively by HTE. ONE SET SPEED. Specific motion whilst lying flat supports the back - a popular option used by chiropractors to help relax their patients. Heat Therapy - also known as Thermal Therapy or Hyperthermia - has been used professionally for decades throughout Asia, especially Japan. Widely used across Europe, especially Germany. Now available for home use in the USA, Canada, Mexico, Australia, Europe and the UK. Far Infrared heat increases circulation and relieves pain, swelling and inflammation, due to temperature elevation. FIR heat - radiated from the sun and present within every living being - is natural energy to maintain health and heal the body with no toxicity or side effects. Until the past decade or so, far infrared units was only used in the USA for newborns. Today acclaimed health institutions, such as Hippocrates in Florida, have chosen the Far Infrared Dome to promote and support wellness. Far Infrared heat energy - also known as thermal therapy - is used across Europe and Asia for multiple health challenges and serious healing. Far Infrared is a gentle, subtle penetrating 'dry' heat. Clothing does not have to be removed. Invented in Japan, the country which has one of the highest ranking health levels in the world, no other company has been able to duplicate the superior technology of the SOQI Far Infrared Dome Sauna. Low EMF - just over 2.0 milligauss. Perfect micron range, 8-10. 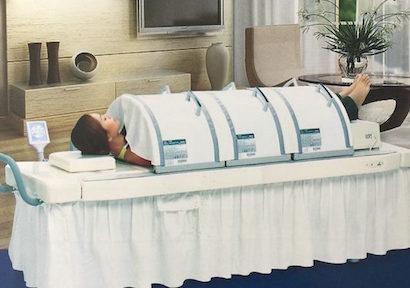 This was the first Far Infrared Sauna to be introduced to North America in 1997, and no other sauna company has been able to copy and duplicate the SOQI Dome's advanced technology. Buyers Guide - comparison data. Home Health Spa - The Sun Ancon Chi Machine and SOQI Far Infrared Dome Sauna are frequently used for combination therapy. Healing from head to toe. Medical bills, toxic drugs and invasive procedures are no longer your only options. 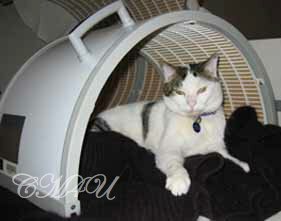 PET SAUNA - Natural Far Infrared heat therapy for our beloved companions who love the gentle healing warmth. A safe far infrared sauna ceramic heater for both humans and animals. Far Infrared has long been used to heal animals and is now being recognised by domestic pet veterinarians. Perfect for home use, or integrated into any healthcare business, private clinics or health spas. Available for USA only. This luxury setup, has an all in one control panel and built in music MP3 player. One bed, one Original Chi Machine and three Far Infrared Domes. x5 Monthly payments - No interest. Tax write-off for business owners. Great for everyday pain relief. Soft, flexible, washable, portable. Ideal for relaxing on the couch, in-bed, or may be used whilst working. Available in x2 sizes. Perfect posture, back and muscle support. Popular with women who use it as a fashionable waist cincher. Several sizes. Powerful reflexology massage, primarily used for the feet and legs, but may also be used for hands and wrists. 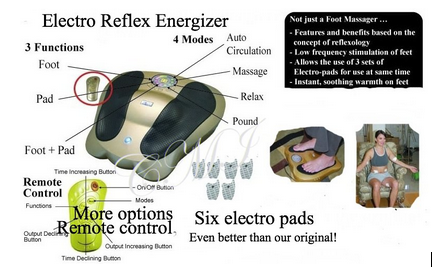 Six electrode pads are included which act like TENS units for the body. Based on the ancient art of Reflexology, the acupressure points in the soles of the feet receive powerful massaging waves of stimulation from the machine which relieves muscle fatigue, aches, pains and soreness, but also serves to bring back feeling where there is numbness. Other health benefits are incurred by this Japanese machine's specific frequency, in addition to the stimulation of the meridians in the arms and legs. 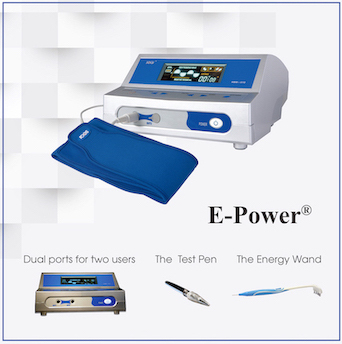 The E-Power machine generates low frequency electromagnetic waves that stimulate the body, creating hours of energy with re-connection and communication of the body's electrical circuitry. It has beauty and anti-aging properties, boosts the bodies ATP and negative ions, and much more. This Japanese medical device is revolutionary technology, highly recommended to benefit multiple health challenges as reported by countless users, doctors, hospitals and clinics. 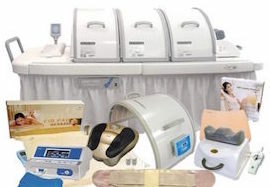 Electrotherapy, also known as Electro-Medicine, is commonly used for health in Germany, Russia and Japan, all three acclaimed for their superiority in the medical field. Power up your entire body. Healing therapy from head to toe! Health is all about keeping the body in motion. Walk, jog, bike, swim, dance ... just move! FYI: April 2016 - The World Health Organization announced that 1 in 11 people worldwide have diabetes risking multiple serious health complications. 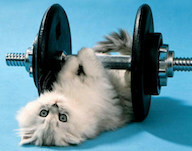 Daily exercise and diet change is an important option to consider more than ever. Sedentary lifestyles are not conducive to well-being. The importance of physical movement is scientifically proven to maintain health and wellness mentally, emotionally and physically. Oxygen levels in the body navigate the difference between being healthy or not. 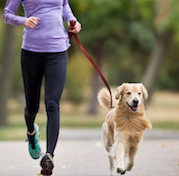 Aerobic Respiration Exercise (oxygen is absorbed and CO2 given off), enhances the function of the body, calms the mind promoting relaxation, mental clarity and focus, sounder sleep, and supports a multitude of health benefits. 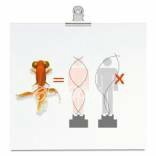 Physical motion kick starts the lymphatic system which promotes elimination of metabolic waste and toxins. When the body stops moving, toxicity starts accumulating and begins to poison the body. 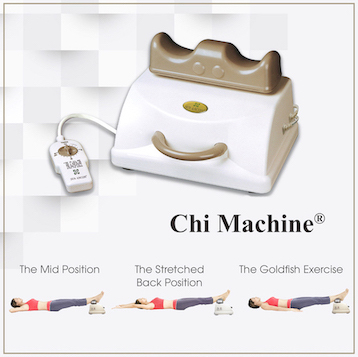 Besides watching DVD's or the TV and following along with Tai Bo or Yoga, the Chi Machine is an excellent choice. No stress to the body, no sweat. Just lie flat on your back and enjoy. It's FREE. Take back your health and your life. The glaring absence of truth in school education and media advertising due to corporate control, ensures you and your family grow up consuming food and drink that makes you ill. Read the truth about McDonald's, Milk, the Atkins Diet, Coke, Fluoride, Whey. Weight Loss is a quest for so many people. A critical consideration is the amount of acid food you eat every day which feeds and creates illness, disease and weight challenges. Shopping List to tryout, with lots of health information as to why, and what you need to include. SOQI CircuGo is for your microcirculation, an energy drink composed of antioxidants that works rapidly. Go Green - Organic diet supplement to enhance pH balance, mental focus, energy and optimal cell nutrition. NOT just another green drink. Enzymes - Nearly everyone is enzyme depleted due to eating too much cooked food. BetaLoe - Serious Immune system support and protection. Much needed during winter season. CANCER Cancer information and guidance. Choices, consequences and facts you probably don't know. Focus MUST be alkaline food - eliminate sugar and foods that turn into sugar (bread, pasta, potatoes, rice). Sugar feeds cancer. 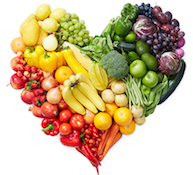 Feed your body natural, organic, whole foods to maintain health and stay well. Illness - How to be sick - You are probably already an expert. Relationships, you and the world. Killer Reality - Want to know reasons why you are sick? Electromagnetic fields (EMF's), such as your cell phone, and other dangers. Learn how to protect yourself. Aluminum Poisoning - Have you checked your deodorant, toothpaste, shampoo and cookware? Prevent illness by identifying and removing common heavy metals and household product toxins. Toxic chemicals. Disturbing facts about the world we live in. From the ocean to airport scanners, this is a serious ongoing invisible health threat. Which Plastics are Safe - Check the triangle on the bottom of every container. Home Healthcare - Alternative Healing. HTE, head quarters in Taiwan, is an International company in business for over 28 years with worldwide exclusive trademarked and patent rights, and multiple global Patents and Awards. Established in 1990 with 11 global head offices, HTE creates outstanding quality products for health, fitness and wellness, manufacture by Skylite corporation in Japan. HTE's Japanese products are cutting edge innovative technology, respected and copied by industry peer groups. Scientifically and medically proven, with thousands of worldwide testimonials, all HTE SOQI machines last for many years and rarely break down. Become a Distributor and earn an income as you help people worldwide. Excellent for health care professionals, complimentary to both conventional and alternative medicine. 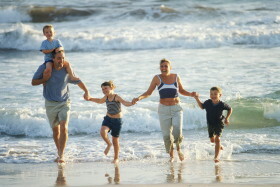 About Us - Health before wealth is just an expression until you become sick. We seriously care about helping others and making a difference in the lives of people that seek natural healing therapies. International personal care 24/7 - Rapid response to all questions and special requests. Expert guidance. Explore the entire website. Extensive Information on health, diet, nutrition, and home therapy natural healing machines. This website is for informational and educational purposes and is not intended to provide or substitute individual medical advice which may be obtained from your chosen health practitioner. Chi Machine International does not claim that any HTE product presented herein will diagnose, treat, cure, mitigate or prevent any disease. Any individual who chooses to pursue information presented herein, does so solely at their own discretion. Always ask questions and research everything.